What a turnout for our first annual Looks of Love Contest! 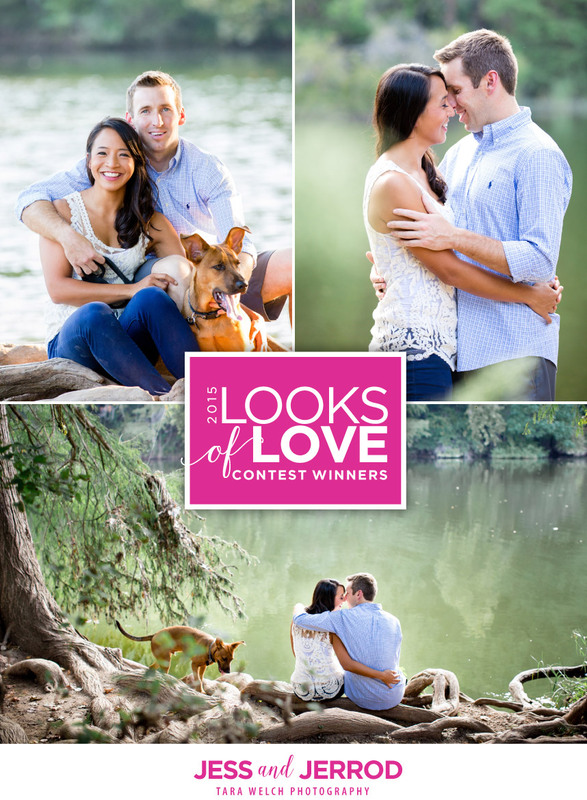 Thanks so much to all of the amazing followers who helped us pick our 2015 Looks of Love Winners — Jess and Jerrod! We received a flood of entries and it was so much fun to read all of the amazing love stories. It was a true task to narrow our favorites to 10 and loved engaging our followers to pick the winner! Jess and Jarrod are such an adorable couple and their engagement photos captured by Tara Welch Photography are too cute! If you missed their story, check it out along with all the other finalists by visiting our Looks of Love Facebook album! Thank you so very much to all those who entered! Happy Valentine’s Day!